You know when you’re little, and your parents tell you over and over…and over…again not to run with scissors? And when you DO carry the scissors, always carry them pointy end down so that you don’t trip and stab out your eyeball or something. Of course, you assume that would never happen; you’ll be careful, you won’t trip, your parents are just being overprotective, right? Well, what happens if that does happen? Some bad, bad things…that’s what. Well, nothing…unless you’re business involves crafts, of course. 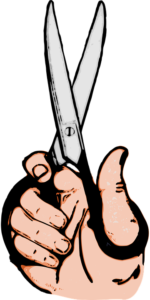 But what you learned from the “don’t run with scissors” lesson is applicable to business. One of the most important parts of taking on a new client, business partner, or business situation is making sure you’re covered if something goes wrong. This means getting all the proper legal documentation necessary for what you’re doing. Let me start by saying that I hope nothing bad ever does happen that will require you to act on enforcing a contract. I hope all your clients pay you the amount they should when they should, and I hope all your information stays confidential when requested, and I really hope that nothing ever goes wrong with your business partnerships. The thing is, though, one or more of these things probably will happen. I’ve even had to enforce contracts of my own in the past. Unfortunately, we have to take a stance of protecting ourselves just in case. Handshake agreements are very difficult to enforce in a court of law. In terms of not knowing what to write about, I do not draft contracts, as I’m not a lawyer. However, I know some awesome lawyers that I can recommend depending on your location. 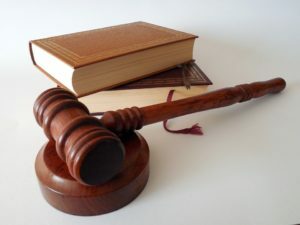 Make sure the contract indicates in what state the agreement is being withheld (so that way if things do get messy, you don’t have to travel to California to take the client to court when you live in Maine). 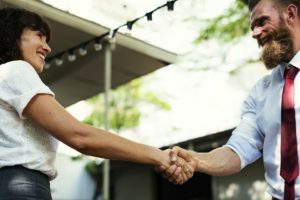 Be careful when going to the quick contract websites that promise a binding contract for a flat fee with no lawyers involved. 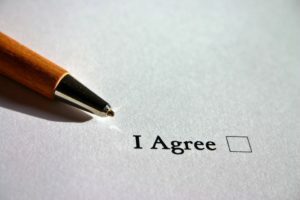 These are typically generic contracts and might leave your business open to issues depending on the industry and the state (all state laws vary, and generic contracts don’t account for this). I actually got my contract off of one of these websites and then had a lawyer tweak it and make it more specific. When it comes to protecting yourself and your business, contracts and things like liability insurance for the business and location (depends on industry) are crucial to save you a lot of headaches, money, and wasted time later. Keep in mind, there are situations where if you’re not covered, you could lose your entire business and MORE depending on your situation. Don’t take the chance of poking out your eyeballs just because you’re sure it won’t happen to you. It might, and it will be bad if it does. Don’t take the risk. Plus, now you can’t say you didn’t even consider it! Need suggestions on where to go for your contract? Or maybe you need help organizing your business in general? Contact me directly!